Mayonnaise- It may be good on sandwiches, but the oil and fat in mayo isn’t going to do anything for your skin except maybe bring on a breakout. While this is a great remedy for hydrating hair and dry ends, it is a product that needs to be rinsed in the sink and not while showering because anything that can cause you face to break out will cause your back to breakout if not rinsed properly. Summer time is no time for bacne! Citrus- No more lemons! 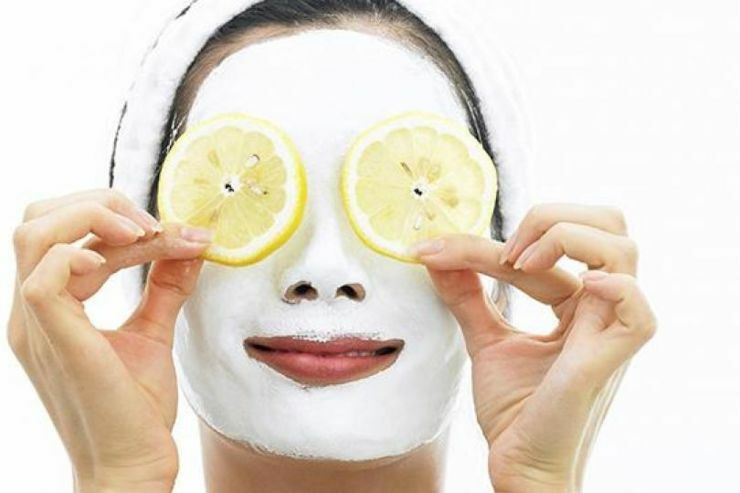 Touted as a skin brightener, exfoliant and pore minimizer, citrus fruits like lemon, orange and grapefruit can do your skin more harm than good. The citric acid in the juice is far too acidic and when applied to skin and exposed to sun can lead to discoloration, dark spots and even blistering. Read that again: BLISTERING. The best way to reap beauty benefits from citrus are to stick to using them in tea and fruit infused water. Honey- Honey makes things amazing and we love it drizzled on toast, in baklava and stirred in tea. There are many websites touting the health and skincare benefits of honey. However, while RAW honey does have antibacterial properties, a study done in 2011 showed that at least 75% of the honey sold in US Grocery stores has been adulterated either by the addition of corn syrup or table sugar. What this unfortunately means is that your average Honey Bear isn’t going to give you great skin, just a sticky mess on your face. Spices- If the DIY recipe you’re using calls for something from the spice rack, proceed with caution. Applying cinnamon directly to the skin can cause “skin irritation and allergic skin reactions” in some people, per the National Institute of Health. Turmeric has also been suggested as a home remedy for acne sufferers, likely due to its anti-inflammatory properties. Topically applied, however, Turmeric can turn the skin yellow and can take up to a week to fade. Egg Whites- Lots of spas offer egg white treatments because they’re gentle but effective at tightening and improving tone and elasticity. At-home users should be very careful when applying to the face. Egg whites contain salmonella, which if accidentally ingested can cause a type of food poisoning called Salmonellosis. Salmonellosis symptoms include fever, diarrhea, abdominal cramps, vomiting, headache, and body aches. YIKES! Glue- Women of the Internet… please, please, please stop applying glue to your faces. Any time you use a product that hasn’t been formulated and tested for topical use there is a chance you could experience irritation, allergic reactions or do the opposite of what you’re trying to achieve by clogging your pores and tearing off the top protective layers of skin, which could lead to blemishes, rashes, and dryness. While Elmer’s Glue is “safe and non-toxic”, it is not hypoallergenic and there are still warnings on the bottle in case you get it on your skin or eyes. If you choose to go the DIY Mask route, do a swatch test on a small space just under the jawline first or better yet, contact your favorite skin care professionals!